Leah C. Couture millinery specializes in feather work and veils for special occasions and Bridal. 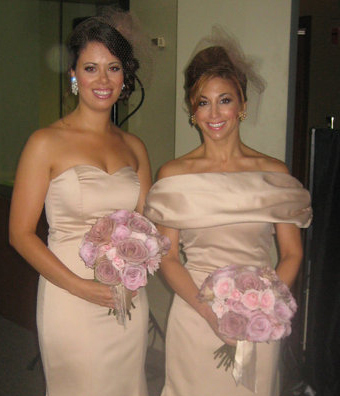 The lovely Marie shares with us a gorgeous view of her wedding day look. "We just got our photos and my hat looked marvelous! There are lots of pictures of your gorgeous creation! It was hard to choose which to send to you! Thank you so much! It was perfect and just what I wanted!!" Marie Shaner photographed by Jasmine Star Photography. You want the best? 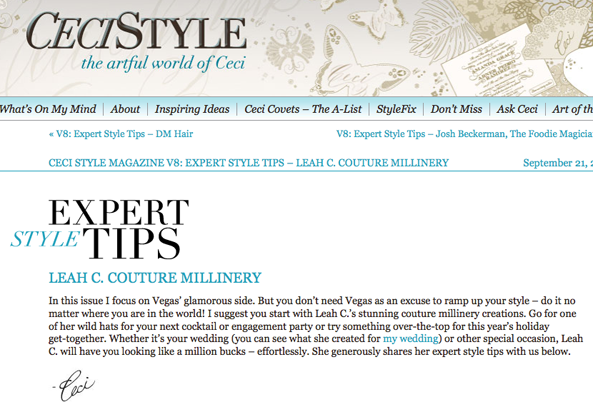 Check out Cecistyle: featuring my expert tips! Ceci has created beautiful instant inspiration theme boards for your dreams on her visually extravagant web site www.cecinewyork.com. 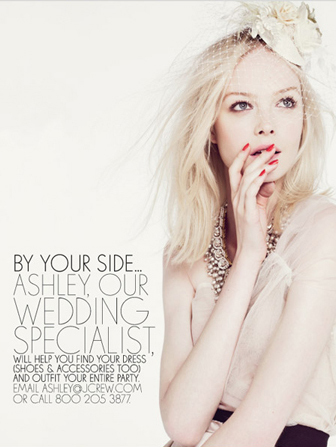 She is a master invitation designer with so many ideas and solutions as you will see, check it out! This links to her feature on us and the advice I give when considering your head wear for special occasions and of course your magical wedding day. This is one of my cocktail bridal hats with veiling and silks, touch of green. We have similar styles available in the studio! Give us a call to come in when it is convenient for you, 212-947-3505. Kristen from NYC weds in Toronto, beautiful!! Kristen, such flair and what an incredible gown! Wonderful quote from Kristen: "Really, the feather was amazing, the bridesmaids were super chic and the little girls looked like angels. You helped elevate our look to a whole new level." INTERIORS: GALLERY/ LAAF by Leah C.